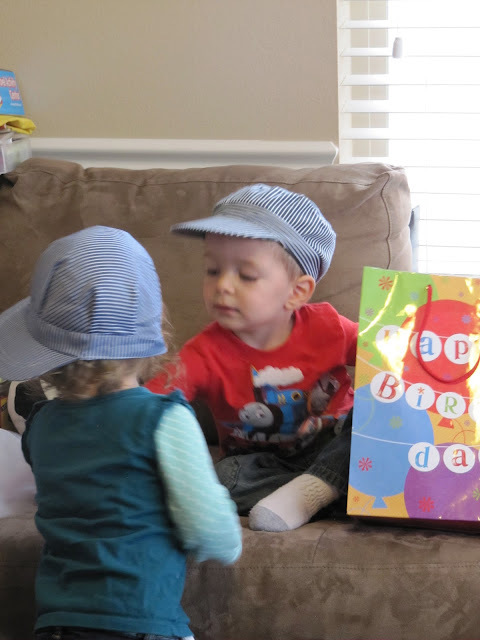 I thought you might like to hear about Espen's birthday party (remember that, way back when in February? 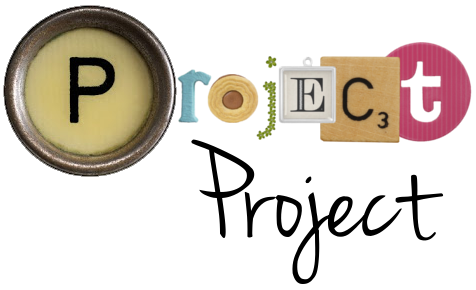 ), and so I'll be devoting a few upcoming posts to that. I've wanted to throw Espen a Safari-themed party for two years now, and each time, as we drew closer to the day, it has become obvious to me that the man himself had other passions of his own. So for his first birthday, we threw him a Very Hungry Caterpillar party, and for his second it became very obvious that it could only be a train party. I showed you the invitation in an earlier post, which we printed out on card stock and cut ourselves. The "big" expense there was paying $10 for the design from Sage Digital Designs and another five for the printing. It was such a great way to set the tone for the party, and I'll definitely do that again in the future. Behold, our oatmeal colored carpet! This was super simple to do, and had a pretty big impact on the kids. They loved running back and forth along them! I'm sure you can find black or brown masking tape, but in the name of simplicity and kind of tying it in with the color scheme of the party, we went with a dark blue. 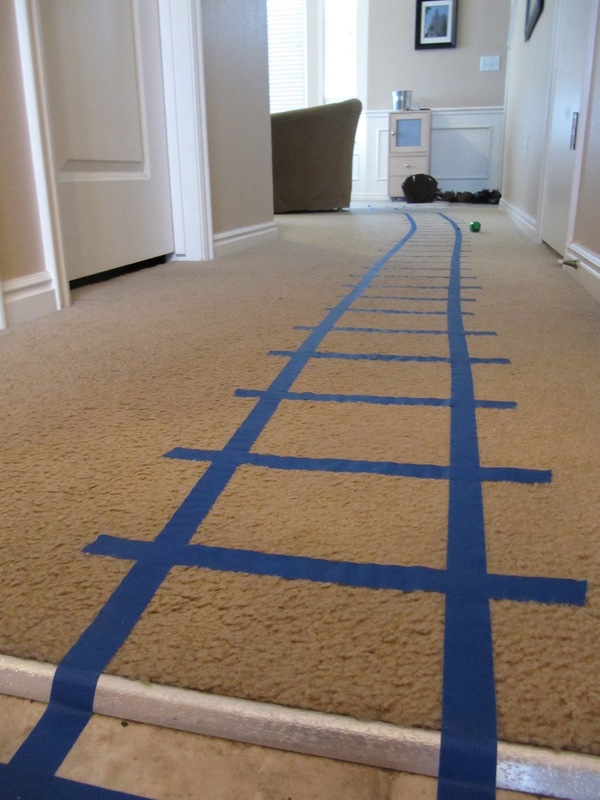 The Shunting Yard: We set up Espen's train tracks on the living room floor, and showed Thomas and Friends on the TV. This acted as a gathering spot where the kids could play and parents could chat while we waited for everyone to arrive, and is also where we opened presents. Unfortunately, I don't have a photo of it in full party mode, just imagine the photo below with seven more kids thrown into the mix. This was just the kind of low-key, unstructured activity that toddlers and pre-schoolers love, and I'm glad we didn't attempt anything more ambitious. I also loved that it gave the adults a chance to chat and mingle while the kids played too. Word of warning: Don't attempt this unless you have more than enough trains and tracks for everyone to play with. Espen is very blessed in the train department, so it wasn't a problem for us, but I've seen a lot of sad little kids at the (somewhat sparsely equipped) train table at our local library. Not short on a train or two. The Fueling Station: Refreshments! The star of the refreshment table was of course the train cake, that Nick and I stayed up making until 12:30 AM the night before. I'll do a separate post on the cake! We also had juice boxes, fresh fruit and train-shaped sugar cookies. 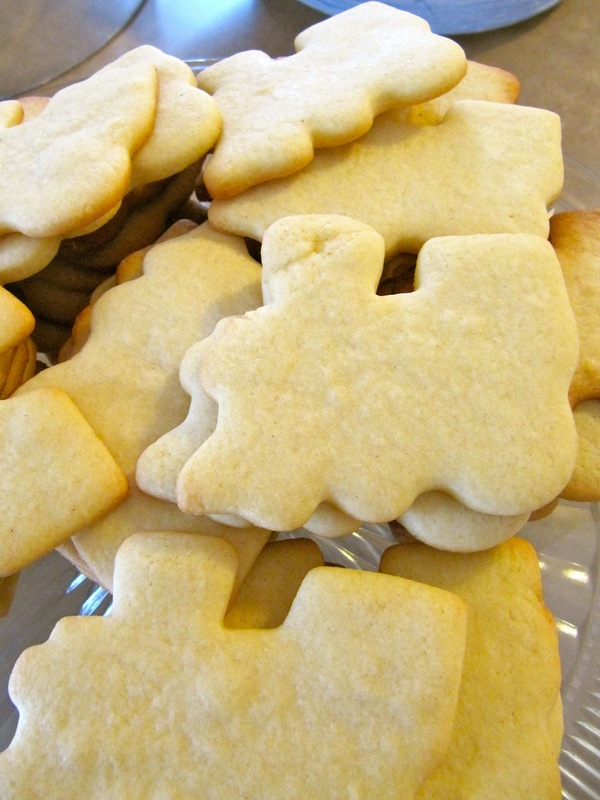 I used this sugar cookie recipe, and they were absolutely delicious. I added a bit more vanilla and a touch of nutmeg because I often find sugar cookies a bit too plain, and would definitely do that again. I ended up not frosting them, because I don't love frosting and had already frosted an entire cake, but discovered that we had a lot of cookies leftover. I think people would have eaten more if they looked a bit more finished than ours did. 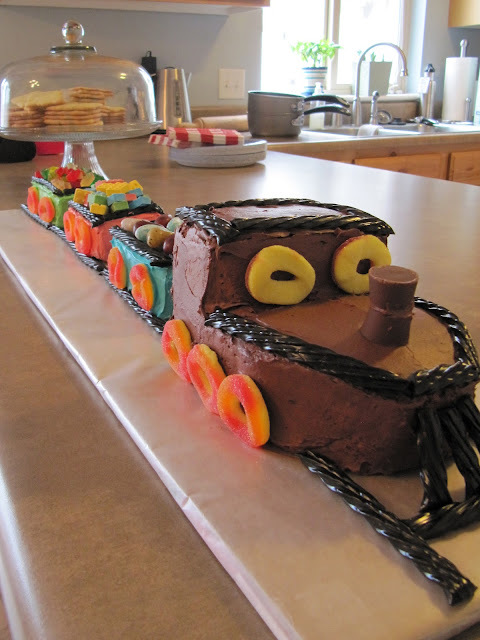 Train cake and kitchen randomness in the background. The Paint Works: We printed off some train coloring pages and set them up on the kitchen floor with crayons. To protect the floor, we taped down a cheapy, but surprisingly cute, plastic table cloth from Walmart. My photo didn't turn out great, and I can't find it online, but it had "Happy birthday" printed on it in this great-looking wood block style. My favorite part was how the masking tape that we taped it down with was an exact match for the blue in the cloth, so it kind of looks like a rug. The Paint Works didn't end up being quite as popular with the kids as I had imagined, although I think they all stopped by and colored something, but it still worked out great. It ended up being a great quiet spot for kids to go and hang out when they were feeling overwhelmed and needed a minute. I think our oldest guest (he was 4) was feeling his age a bit, and so he and I ended up coloring trains and chatting in the kitchen while the younger kids played in the living room. Spending a little quiet time in the company of one of my favorite kids ended up being one of the highlights of the party for me. It really opened my eyes to the benefits of having a quiet spot at a party for young children, and I'll bear that in mind next time. The Paint Works before the party. It was not this neat and tidy afterwards! We kept things pretty simple decorations-wise too. We bought a big mylar balloon in the shape of Thomas the tank engine for Espen, and a balloon in various colors for each of the children to take home afterwards. The balloons added a lot of color and festivity on their own, and other than that we just went with a simple "Happy Birthday" banner with a train on it. The lettering on the banner just happened to be similar to the writing on the Paint Works table cloth, which helped tie things together, even if I was the only one to notice it! Anyone need a happy birthday banner with a train on it? Three weeks later, and Thomas is still floating around our living room. True story. I mentioned that each child brought home a balloon from the party. We did balloons as party favors for Espen's first birthday, and discovered that they were a really popular thing for the kids to take home, so we decided to make them a signature North family party favor of sorts and do it again this year. We also gave each child an inexpensive train engineer hat to take home, which you can buy by the dozen here. We found some at our local party store, and saved a few dollars (and ourselves from having random leftover hats floating after the party) by buying the exact number we needed. Espen and his little friend are wearing them below. Toddlers don't really stop moving long enough for photos! And I think that's it! Definitely on the simple and home-made side, but I don't think we Espen could have had enjoyed himself more had we thrown a more elaborate party. He had a great time with all his little buddies, and took a great nap as soon as they went home. Success! Love it! Everything - the cake and the railway on the carpet especially!!! It will be a birthday party to remember! This is ADORABLE! Seriously, the masking tape track! Brilliant idea! And your cake is SUPER FUN! Sooo Well done! I wouldn't expect anything less from you two. I am sure Espen LOVED it!!! I love your party favor ideas and that cake is to die for. I can't wait to see the details of it. TAKE CARE OF 2 LIL BOYS THEY WILL LOVE THIS THANKS FOR SHARING!